Relax on the Over-Sized Private Lanai while enjoying the Quiet Preserve Views from one of the Largest Cul-De-Sac Lots in The Shores at Berkshire Lakes. This Upgraded 3 Bedroom, 2 Bath Home features a New A/C System, Split Floor Plan, Spacious Master Suite with two Walk-In Closets, Master Bath with Dual Sinks & Garden Tub with Separate Shower, Corian Kitchen Counters with Wood Cabinets, Pantry & Breakfast Bar, Vaulted Ceilings, Recessed Lighting, Extended Garage with Built-in Cabinets and Hurricane Shutters for all windows/doors. 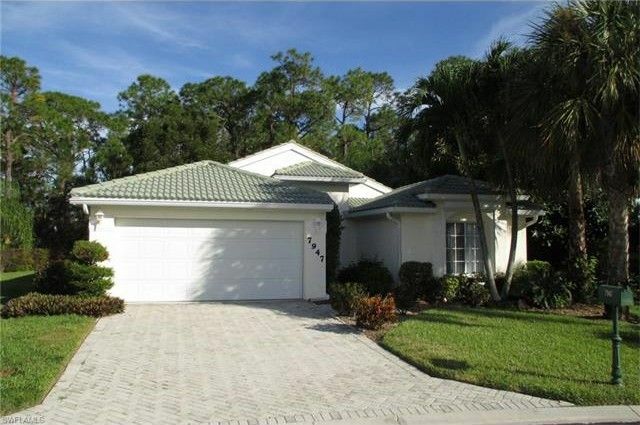 The Gated Shores Community Amenities include a Clubhouse, Pool, Gym, Tennis Courts, Pickle Ball, and Playground all with a convenient location to Shopping, Restaurants, I-75, the 5th Ave S Entertainment District and Naples Beautiful Beaches.